Team Haglöfs Silva is now 18 hours into the race and currently at second place chasing leading Team Seagate. The race started with a short run down to the kayaks. The kayaking went back and forth on Kanas lake. Haglöfs Silva and Seagate were close together, but on the white water rafting, team Seagate got a small gap. 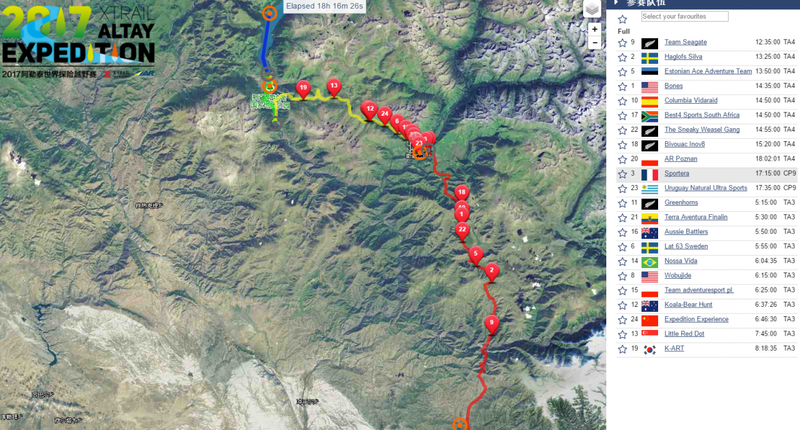 They have kept that gap on the 49 km trek and have extended it to approximately 50 minutes at the next TA where they went out on the fifth section, MTB 201 km, which is expected to take 18 hours! This bike leg contains a lot of climbing and downhills and will be a mix between sealed-, gravel roads and trails. The current tracking. Team Haglöfs Silva (#2) are currently second and chasing leading Team Seagate (#9).